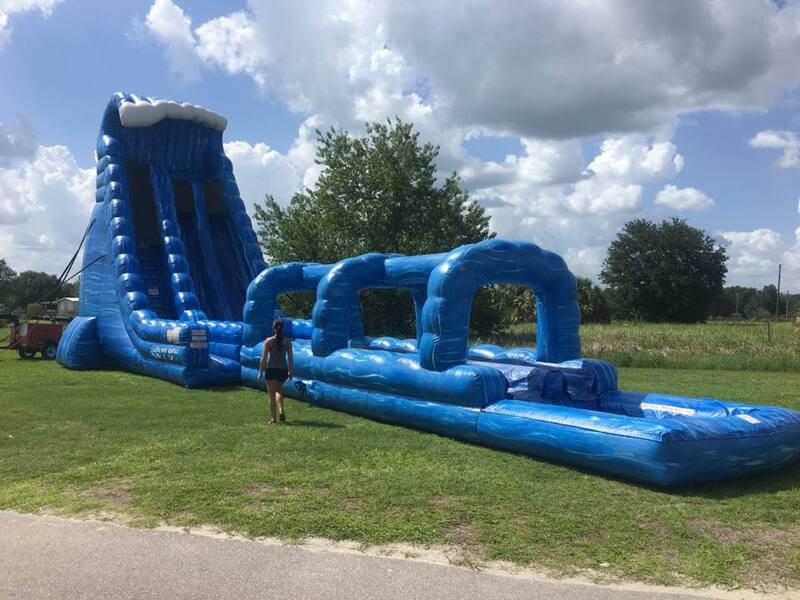 This is our 27' high double lane slide with Slip N slide attached. YES 3 STORIES HIGH! This slide is 65' long and goes into a slip & slide with a pool at the end. EVERYONE WILL LOVE THIS SLIDE!! !